Last week, Microsoft revealed just what sort of hardware the upcoming "Project Scorpio" will have under the hood. 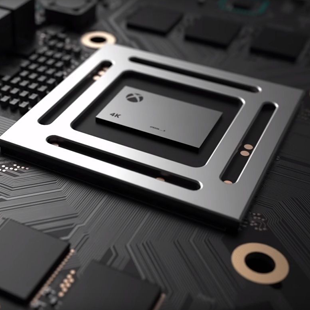 While the Scorpio's innards are certainly impressive, and it does earn the title of "most powerful console of all time" for the time being, that's not enough to guarantee its success. The problem that Microsoft faces is that this isn't the start of a new console generation. If it was, the hardware advantage it holds over the PS4 Pro, while not overwhelming, could be considered significant. Instead, Scorpio is launching in the midst of a generation where, by pretty much every measure, Microsoft is getting stomped by Sony. As of January, PS4 was outselling Xbox One by a margin of roughly two to one, with PS4 having sold around 55 million units to Xbox One's roughly 26 million. Exact numbers are hard to come by, especially since Microsoft no longer reports sales figures, but most metrics agree that Microsoft remains in a far distant second in this generation's console sales race. It's obvious that the company expects Scorpio to help narrow that gap. Company reps have been making pointed digs at Sony, such as in September of last year when senior director of product management and planning at Xbox, Albert Pinello, told Eurogamer that "There are just a lot of asterisks in [Sony's] marketing around 4K." But more powerful hardware isn't the answer to selling lots of consoles. If you need to be reminded of that, just take a look at the sales figures for the Wii sometime. The Xbox One began this generation with the most complete misread of what gamers wanted since Sony started the previous generation off doing the same thing. Microsoft has been paying the price for that ever since, and the sale figures show it. Since then, the company has made remarkable strides, reversing many of the policies that drove gamers away, and adding things like backwards compatible gaming. It's even adding self-service refunds on digital games. No, in the end, the success or failure of the Scorpio, and the Xbox One along with it, will be determined by just one thing: the games it offers. And that's the biggest problem: With lower sales, Microsoft has less leverage to bring in the really big exclusives. On the Xbox 360, most games brought their content to Xbox first, and Sony fans had to wait around. This generation, that's been reversed, with even Call of Duty bringing its DLC to PlayStation 4 first. Even worse, Microsoft has also placed itself in competition with, well, itself. Sony has also been winning the exclusive war this time around. While Microsoft has kept its stalwart franchises around with new titles like Gears of War 4 and Halo 5, the new developers at the helm of each haven't been nearly as successful as the studios they replaced. Forza continues to dominate the racing scene, but that's small potatoes by comparison. Many of the exclusives gamers might have been interested were canceled, like Scalebound, Phantom Dust, and Fable Legends. Meanwhile, Sony has added new IPs like Horizon Zero Dawn, Nioh, and Bloodborne, and also kept up beloved series with games like Uncharted 4 already released and God of War 4 and The Last of Us 2 still to come. There's also Kojima's Death Stranding and Syphon Filter dev SIE Bend's Days Gone in the mix as well. Even worse, Microsoft has also placed itself in competition with, well, itself. Thanks to its Play Anywhere program, many Xbox One titles can be played on PC, including Gears of War 4. Gamers know at this point that pretty much every Microsoft-published exclusive will be a Play Anywhere title, and that pretty much means it will look better and run better on PC, and Scorpio won't change that. Sure, it's a powerful console, but a 2-year-old mid-to-high-end PC outstrips it. If you've invested in a GTX 1070 or 1080, Scorpio won't come close. So why would those gamers want the thing? I don't think that it's hopeless for Microsoft, but if the company wants to turn the tides in the console war this generation, it's going to need to find some more exclusives that gamers actually want, and do it fast. Crackdown 3, Sea of Thieves, and State of Decay 2 are cool, but they won't be enough. Sony is already out in front, and an incremental increase in console power won't sway the folks who are more interested in games than specs.